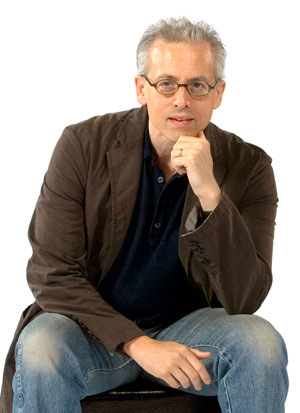 Pulitzer Prize-winning playwright Donald Margulies' Coney Island Christmas started previews at the Geffen November 20 with a scheduled opening set for November 28. This work, commissioned by the Geffen, will honor past artistic director Gilbert Cates, who passed away last year, and promises to be very special. Margulies, who is renowned for Dinner with Friends, Time Stands Still, Collected Stories, Sight Unseen and Brooklyn Boy among other plays, recently sat down to chat about the play, playwriting and the writers who have influenced his work. Margulies most definitely agrees that with the recent devastation to Coney Island by hurricane Sandy, audiences will look at his new play from a slightly different angle. Tell me about Coney Island Christmas. It's a huge cast, which is so delightful, ranging in age from 10 to 82. There's a great grandmother...well, you'll see it. The origin of this play began as a conversation I had with Gil Cates, my late friend...I guess it was about three years ago. He called me at home in Connecticut and said, "How'd you like to write us a Christmas show?" I was kind of bemused by such an offer. I thought I was a curious choice for such a thing. I think he did it because he knew I would not write your typical Christmas show, and that's what his intention was. He wanted something that would be more surprising, not at all along the canon of Christmas Carols and the like...which I took as a very interesting challenge. I said to Gil, "If I'm going to write you a Christmas play, you know it's going to be a Jewish Christmas play." And he said, "Great!" I had no idea what I was going to do along the lines of a Jewish Christmas play or even any Christmas play. Thankfully, I remembered a story by the great short story writer Grace Paley that I had read in high school 40 years ago called The Loudest Voice, which is about a Jewish girl named Shirley Abromowitz in Depression era Brooklyn. She's chosen by her teacher to be Jesus in the school play...this nice Jewish girl. It's really about that, that is the event of the play. Once I remembered that short story, I figured out how to do it onstage that seemed very right. So you've changed the story a lot. I've changed it considerably, because it's a very short story. It's about 8 pages long. And there's no real conflict in the story. It's a wonderful premise that I have taken from the story. I was inspired by Grace Paley and I've opened it up considerably. Can you tell us a little of the conflict you've created? Give us a little preview. I will tell you this, within the play there are two school pageants that are performed...that are major set pieces of the play, but I don't want to spoil it too much by revealing too much. This idea came about as a result of a request. Where do most of the ideas come from for your plays? You know, it's very mysterious. There's no one way that inspiration strikes me. My plays, my original plays, not plays that are even loosely based on something, tend to emanate from a very personal kind of visceral place, which is not to say that the others, the ones that are adaptations, don't become that. But that's not where they start out. So Dinner with Friends came out of the phenomenon of seeing so many friends' marriages break up. The Model Apartment came out of fascination with second generation Holocaust survivors. They come out of certain obsessions that won't go away, that can only find their way out through exploration in a play. Do you use autobiographical elements? Oh no. Increasingly less. As I get older, I have frankly less to draw from. So the married couple that stayed together in Dinner with Friends was not you and your wife? It reflected me and my wife and our position at that time, but the circumstances were different. The couple that breaks up is an amalgam of several friends who went through that. So, no, it's never as bold as that, putting myself onstage. I wouldn't do that. I don't recommend it. You always have to reinvent what you know, make it something else. You had a flashback scene in Dinner with Friends. It went from present to past and then back to present again, interrupting the through line. Why did you employ that? Sight Unseen plays around with time more than Dinner with Friends does. Dinner with Friends is pretty linear. When I finished the play, I realized the way that I had structured it hadn't permitted a scene in which all four characters appeared. And I felt that in order to really complete the story of these two couples, these friendships, I needed to create a scene in which the four of them were together. 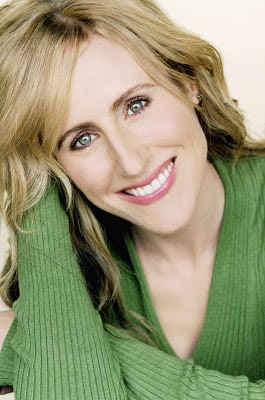 That became the first scene of the second act that begins twelve years earlier, when Gabe and Karen introduce Tom and Beth, which becomes obviously a fateful meeting. Talk a little bit about conflict and emotional tension in a play, which you handle so well. I've always been interested in behavior and in subtext, in things that are not said, that are expressed through behavior...and through language. In order for there to be drama, there's got to be conflict. And in order for there to be conflict, the stakes have got to be very high for the characters. Even if things are not exceedingly high in our eyes, we are seeing how important it is to those characters, and in seeing that, we identify. We can all replace equivalents for people's different experiences that we see onstage and plug in our own autobiography. So in order for there to be drama there's got to be conflict...and there was no conflict incidentally in Grace Paley's short story. It was all very benign. I created conflict. You empathize with both sides of an issue. As in Collected Stories, neither woman is an angel. It is up to the audience to make up their own minds as to what is right. Is that correct? That's true of everything I write. And this may be parenthetical, but I give an assignment in my playwriting class at Yale, after they read the play Aunt Dan and Lemon by Wallace Shawn, which has at its center a really shocking monologue essentially about fascism. I have my students write a monologue from the point of view of someone they find reprehensible. But they're charged with: Do not condescend to these people. Do not turn them into a joke. Really get inside the head of somebody who is not like you. Try to figure out why do they maintain that point of view? Do it with as much integrity and dignity for the character as possible. That is something I live by. In creating arguments onstage you really have to totally empathize with people who you may not agree with. As in Collected Stories, in a balanced argument in its presentation, the audience's sympathies will shift from moment to moment and from statement to statement. "She's right. Oh no, she's right". That's the way it should be. No one is a villain. There is no Eve Harrington in Collected Stories. That's a misrepresentation of the play. It's not that. It's really a love story about these platonic women. Platonic mother/daughter surrogates. Screenplays that you have written, do you keep them pretty much the same as the plays? I've written three adaptations of my plays, two of which have been made into movies. Dinner with Friends was made into an HBO movie and Collected Stories was made into a PBS movie. I also wrote Sight Unseen as a screenplay. That play was my breakthrough in 1991. I tend not to completely reconceive the plays...there are fewer lines of dialogue only because film, the camera doesn't tolerate language as much as you can use it onstage. Sight Unseen, because it has so many different time elements gave me the freedom to jump around a lot, which is something you can readily do on film. The structure of Sight Unseen is probably the most different from a play that I have adapted. What else have you been working on besides Coney Island Christmas? I always have several things going on at once in addition to teaching, which takes up a lot of time and energy. I do love it. I'm working on another new play called The Country House for the Manhattan Theatre Club, a commission also. I'm working on the book of a musical, which I'm not at liberty to discuss. I'm also working on a screenplay for an independent feature about the writer David Foster Wallace. That's pretty much what I have on my plate right now. There are also a couple of revivals that are being talked about. It's a very nice thing to live to see. Even though I'm still relatively young, I've been around a long time (he laughs) and it's very nice to see the work being rediscovered. Do you have any mentors? What writers inspired you? I would say Thornton Wilder, specifically Our Town and Chekhov inspired me. I've always admired his interest in psychology. His plays are kind of deceptive in that way, because it seems like there's not much that happens in them. But there are all these subterranean turmoils that are dealt with in Chekhov that I really identify with and draw inspiration from. My new play The Country House is a kind of homage to Chekhov. I'm drawn to real identifiable behaviors...Pinter's Betrayal is a great play. What an example of economy in writing! It's exquisitely written. Many would agree that Donald Margulies is an exquisite writer as well. See his Coney Island Christmas now previewing at the Geffen and opening on Wednesday November 28. It will play through December 30. Actor Michael Weston, known to TV audiences for his roles on House, Scrubs and an amazing guest star turn as "Jake" in Six Feet Under, co-stars with Robert Foxworth, Jeannie Berlin, JoBeth Williams and Robin Weigert in Jon Robin Baitz' Other Desert Cities now previewing and opening at the Mark Taper Forum December 9. Weston, who replaced initially cast Justin Long, recently took a break from rehearsals to sit down and talk about the play and his theatrical interests. Weston is the son of Tony winner John Rubinstein. You live and grew up in New York, right? I'm a little bit bi-coastal. We sort of followed my dad (John Rubinstein) around. I lived mostly in New York, but I was out here for early kindergarten and 7th grade. I went back and forth. But I definitely grew up in the wings of theatre most of my life. I remember when he was doing Children of a Lesser God, which came out here to the Taper... I loved it, it was magical to me. Did you ever perform with him on stage? No. To be honest, I was never really interested in theatre as a kid. I loved baseball, (he laughs) so I would play like in the Broadway Show League. I always loved all his pals in there, a bunch of guys and gals from Broadway shows, and they'd come and play softball in Central Park. My interest in theatre started in high school, mostly because my dean forced me to do it. I was creating trouble in the hallways, so he demanded that I do something with my spare time. That accounts for you being cast in a lot of bad boy roles. The first thing I saw you do was Six Feet Under, and you were such a little fiend, I hated you, but you nailed it so completely. But I could tell underneath it all, that you have a tremendous sense of humor and were really enjoying what you were doing. It was very dark, but I did really enjoy that. And it was such beautiful writing, as in this play. The way that they could churn that out as often as they did, it was an amazing show! That set the precedent. There was humor in it and there was the darkness of it and that allows you to play those kind of characters. So, honestly, it wasn't that hard to play that drugged-out character? The moment to moment - what is he going to do next? - element kept you on the edge of your seat. And you had a great rapport with Michael C. Hall! 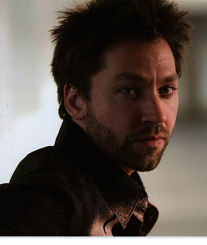 He's such a lovely actor and a lovely man. We had a great time doing it. I unfortunately did not see you in Scrubs or House, but I did catch a movie on late night cable called Wishcraft (2002). Talk about 360 degrees away from viciousness! You were this meek kid that I really felt sympathy for. And I studied many years ago with Austin Pendleton, who also had a role in that as a teacher. It's just another side of you that you draw upon as an actor when you need it. I guess so. I think in our core, we're all of that. Let's get to Other Desert Cities. Tell us about the play and your character in it. I'd heard of the play, and I've been a fan of Robbie Baitz forever. I remember, my dad was up at Vassar, and as a kid I watched him do Three Hotels. As I watched rehearsals, I fell in love with the writing. Not really understanding why, I just loved it. It set the world so amazingly. And then I was up at Williamstown (Massachusetts) and I saw another play of his with John Benjamin Hickey...I can't remember the name of it...it was so beautiful. I'm a huge fan of his. When this role came up, I just crossed my fingers, and there's nothing better than to be in a beautiful play. I love the depth of this play. I love family dramas that have a sense of humor and that are so alive, full of that amazing energy onstage. I play Trip Wyeth who's the youngest son. He's a mischievous guy, but he's got a big heart. He's the caretaker of the family even as the youngest son. I've sort of played that role in my own family a bit. So, it's a very deep and personal role to me. I understand him well. You have several brothers and sisters in real life, correct? I do. Families go through their ups and downs. In this play Trip is this loving soul who is trying to keep his family together, amidst their past, pain, ambitions. This play effortlessly makes each character the center of the action at different moments and seemingly altogether as a portrait. It's really a masterpiece of writing, so rich on a human level. It's so wonderful to step into these characters and live in that for a couple of hours. Especially living out here in Los Angeles, it's very rare when you get an opportunity to ride out a character for two hours straight. It's really a privilege. I can't wait to do it. You are in a terrific cast! I haven't seen Jeannie Berlin in years! I just saw her in Margaret, Kenny Lonergan's film. Jeannie is spectacular in it. JoBeth (Williams) and Robert Foxworth are just wonderful actors. It's so great to be a part of that. I didn't know Robin (Weigert) at all, before we got into this. She is a perfect motor for this play in her heart, and she's so smart and so fun. We gelled really quickly as a family. It's a real ensemble play. Everyone speaks and does a lot. I have a lot of moments on stage where I'm just listening, watching this drama unfold around me. I always feel a part of it, which is really a testament to the actors, and Robert Egan is just a wonderful director who I've always wanted to work with. I did Ojai Playwrights Festival with him years ago. We hit it off, and it's been really special to work with him. This family becomes very much alive onstage. Even when I'm not opening my mouth, I feel great. Talk about "opening your mouth" and singing. You must have some musical talent with all those great genes. So you are equipped to do a musical on stage! Who are your idols besides your dad? I love Gene Hackman. I love Ryan Gosling...I watch his work and ...he's one of my peers...and I cannot get enough of Meryl Streep. She can do no wrong. There are so many. I just wrote a movie and I'm going to direct it in the spring. I love actors so much, what they come up with, just being able to be a part of it...I have so many idols, big and small. Many of them are my peers that I work with, who make these little movies and get them out there. It takes such passion and resilience, and I have a lot of respect for them. If you had to sum up acting, what is the best thing about being an actor? What an exciting and energized human being! See Michael Weston in Other Desert Cities at the Mark Taper Forum, now previewing and opening officially on December 9! 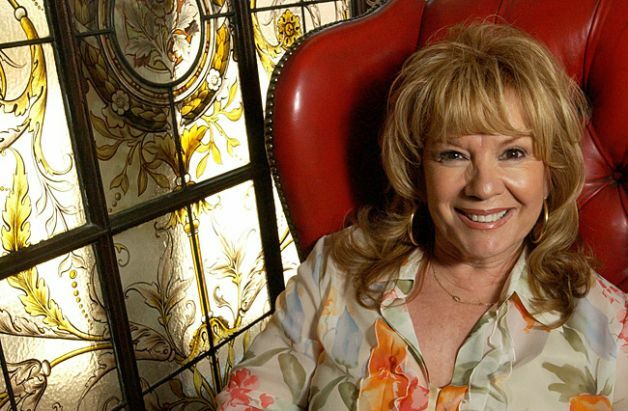 Cantante/actriz legendaria Vikki Carr, nacida Florencia Bisenta de Casillas Martínez Cardona en El Paso, Texas, se disparó al estrellato como cantante de pop estadounidense en 1962 con "El es un rebelde", seguido de "It Must Be Him" y "con Pen in Hand ". Años después en los 80 y 90 sus grabaciones españoles le trajeron tres premios Grammy y fue precedente para muchos otros cantantes que se cruzaron y se convirtieron en éxito, tanto en inglés y español. Ahora en el 2012 regresa a Discos Sony con un nuevo álbum Viva la Vida, publicado el 25 de septiembre. En nuestra charla habla sobre el álbum, las organizaciones benéficas que están cerca de su corazón y de cómo se siente ser mexicana-americana. Felicitaciones por 50 años en el mundo del espectaculo! Me imagino que contaba a partir de 1962. -Bueno, fui a la carretera en 1959. Eso es un hito, Vikki. Congrats! Escuché las tres primeras canciones de Viva la Vida y su voz suena mejor que nunca! -O Gracias, Don! Muchisimas gracias! ¿Te grabaste esto en los últimos meses? -O no, ese álbum Viva la Vida iba a ser mi álbum de aniversario y un agradecimiento a todo México y toda América Latina por todo el éxito que me han dado en los últimos años ... para decirles que mientras Dios continúa bendecirme con mi voz que voy a estar ahí para ellos. Pero fue una de esas cosas que cuando no estás con una compañía de discos ... y mi marido dijo: "Hay que cantar. Estás cantando mejor". Así que invirtió en mí mismo, y qué mejor inversión puede tener? Yo trabajaba y trabajaba y le dije a mi director Carol Peters, "Estoy tratando de conseguir un sello discográfico." Todo se hizo ... la grabación ... Me co-produje junto a José Hernández. Yo supervisaba todo, el fotógrafo, todo el asunto. Fue tan frustrante, Don. -Hace tres años. Y resulta que oyeron .... Sony. Carol se les presento, y estos jóvenes ... Yo los llamo joven en comparación con la vieja banda que se utilizo para ejecutar las empresas. Fueron criados con mi música, y cuando lo oyeron, dijeron: "Oh, queremos liberarla", yada yada ... y yo acabo de volver de hacer una gira promocional por todo increíble de Miami y Los Ángeles. Son sólo tan emocionadas. Desde su lanzamiento en septiembre, ha pasado de 49 en los charts latinos a 16. Es un best seller. -Ya sabes, esto puede abrir la puerta para que haga otras cosas. He estado haciendo conciertos. Lo que más me entero está tratando de presentar lo que soy, una mexicana-americana que tuvo éxito en inglés, y gracias a ese éxito, tuve la oportunidad de grabar el primer álbum todo en espanol. Resulta que cuando regresé de México ... todos ellos le preguntaron: "¿Va a hacer un show de español o su programa de inglés?" Ha sido una lucha. Quiero hacer la demostración de lo que soy. Soy capaz, gracias a Dios, atraeré a todos clases de gente a mis conciertos. ¡Es la cosa entera ¿Eres un artista? ¿Puedes contar historias? ¿Se puede hacer reír a la gente? ¿Lo sientes? ¿Lloran con usted? ( se ríe ) Ahora, en esta etapa de mi carrera , mi idea es que voy a ser quien soy y he sido siempre, no tener que pedir disculpas por ello. Eres una gran cantante. Usted ha sido una de mis favoritos desde la secundaria. Cuando escucho a la hermosa música cantada por un cantante increíble, no me importa qué idioma está adentro. Es la música y quién la canta lo que cuentan. -La música es el lenguaje universal. Descubrí que si yo estaba en un país donde no hablo la lengua, si pudiera hacer contacto visual con la gente, y conseguir una sonrisa o sonrisa en ellos, entonces sentí que había conectado. Cuando vas a ver ópera, no todo el mundo tiene las tablas como lo hacen en el Met que pueden decir que lo que está ocurriendo. Pero sí sé cuando está triste o gracioso, o es trágico ... que habla por sí mismo, y le toca a la persona que está realizando o cantar a afectar a la interpretación. ¿Es este el primer álbum que han producido? -Produje otro ... ¿te acuerdas de Live at the Greek ? -Bueno, esa fue mi producción. No era mi dinero, pero ... es tan divertido, porque lo que estoy queriendo es volver a la Griega y celebrar ... ¿cuántos años desde que hice esa primera y ahora ser capaz de incorporar todo lo que soy, con una big band. Mi sueño es hacer un homenaje a Sinatra, mi manera. No quiero decir eso para ser gracioso ni nada, pero cómo podría yo cantar. Esa era la música con que me alce. No me crié con el rock and roll, pero eran las grandes bandas y los sonidos españoles, la gran música de mi padre y de mi madre. Esa fue mi base musical entero. Memorias, el homenaje que hicieron por PBS hace unos años con la música de los años 40 y 50 era una maravilla! -O, gracias. Hace unos tres años, yo también hice Fiesta Mexicana. Fui a México y nos mostramos algunas de las ciudades más bellas y las danzas y la música. Era exquisito, visualmente tan bello, dirigido por Leo Eaton. ¿Has visto eso? No, pero yo voy a buscarla. Volviendo a Viva la Vida, gracias por el segundo CD con muchos de sus éxitos de todos los tiempos españoles. -Se presentó con una visión diferente esta vez, lo que mis sentimientos eran y por qué he elegido esas canciones. Les dije a la compañía discográfica lo mucho que aprecio todo reenvasado siguen haciendo, pero agregue: "¿No sería bueno tener algo de material nuevo? Voy a seleccionar las canciones y escribir por qué son tan especiales para mí." A ellos les gustaba la idea. Háblame de las organizaciones benéficas más cercanas a su corazón. -El que yo he sido tan identificado con mi fundación es beca que me comence en California en 1971 . He podido ayudar a más de 350 jóvenes mexicanos-americanos los estudiantes hispanos a continuar con su educación. Me cansé de toda la negatividad y yo tuvimos una maravillosa dama PR / gerente, quien se hartó de mi queja y me dijo: "Mira, si no te gusta, haz algo al respecto." Pensé qué diablos iba a hacer? Entonces, Dios me envió ese comercial de la Asociación Nacional de Productos Lácteos antes de que alguna vez fue el bigote blanco. Esto fue en el al oeste y al norte. Funcionó por dos años. El dinero que me gané fue a las becas. Decidí ayudar a un estudiante, y cuando me senté en la cama leyendo estas aplicaciones de las familias, algunas de ellas las familias migrantes que tenían tantos hijos sino que se encargó de que todos y cada uno de ellos tiene una educación. Uno de los chicos se graduó con un 4.0 y quería ser un criminólogo. Lloré y dije "tengo que continuar con esto." Desde 1971, he tenía un astronauta, el primer astronauta mexicano-americano José Hernández, un juez de la corte superior, los médicos que tienen consultorios, abogados, tengo personas que están de moda en Nueva York ... Nunca he tenido hijos biológicos, pero en un Así, estos han sido mis hijos. Nosotros no eramos ni son la base grande, pero nos preocupamos por los niños, ¿tienen la ropa que necesitan y lo que necesitan, además de eso? Ha sido mi bebé. (ella se ríe) Tengo que decirte esto. Este álbum ... Lo consideré como mi bebé y hemos estado diciendo a la gente: "Dios mío, tomó años para que este bebé salga, por amor de Dios" ... salió y dijo: "Hola, mamá. Hola, papá. "Y luego fue directamente a la escuela. Cuando usted realmente, realmente crees en algo, tienes que luchar por ello. Tuve que luchar por" It Must Be Him ", tuve que luchar por" con la pluma en la mano", "Luché por la primera álbum en español. Es un poco irónico que las cosas que he luchado por han sido unos de mis mayores éxitos. Está confirmado que en mí tienes que hacer lo que tú crees en tu corazón, lo que quieres hacer, porque nadie más puede sentirlo. Ellos no eres. Es mejor ir todos hacia fuera para él y decir: "Lo intenté, pero no fue así" en lugar de quejarse y decir: "Oh, Dios mío, no lo hice esto o eso. "Todos caemos en esa trampa. ¿Quiénes son tus cantantes favoritos de todos los tiempos? Sé que ya has mencionado Frank Sinatra. -Uno de mis favoritos de todos los tiempos es Tony Bennett. Me sentí mal que nunca me pidieron que hiciera su Duets álbum. Otros son Judy Garland, Kay Starr, Teresa Brewer, me refiero a la música con que me crié. Cualquier de la nueva cosecha que te gusta? -Adele, ella tiene una gran voz. Al igual que usted, yo prefiero escuchar sobre todo los oldies but goodies. -Necesito escuchar una melodía,.. Quiero oír la voz. Me siento tan aburrido con algunas de las cosas que oímos. Tengo nietos y van a jugar este y decir: "Vamos, abuela. Puede ranura para esto. "Y yo les digo:" Yo no lo creo. " Te vi en Follies hace unos 10 años. ¿Le gusta hacer comedias musicales? Usted tiene una pasión en su voz que no tiene la mayoría de los cantantes! "Lo que haces en tu vida, haz con todo su corazón! El día que usted no puede hacer eso, parar, porque el público lo sabrá. "Y lo harán. Cuando llegue esa reacción visceral, ya sabes. ¿Cómo te sientes acerca de pasos que los hispanos han hecho en el mundo del espectáculo? -Me gustaría el latino de ser aceptado por ellos mismos como el talento y no tienen ese estigma de ser latino. Al igual que Ricardo Montalban jugando un japonés en la pelicula Sayonara , él es actor . He hecho algunas cosas en la televisión como en Baywatch, yo era una de esas chicas (se ríe), no, yo era la madre de un socorrista. He audición para los roles y siempre me ven ... no se ajustan a su caricatura de lo que ellos piensan que debo ser. No todos están de oliva de piel clara. Mi madre era muy, muy ligera. Traté de permanecer en el sol (se ríe) y todo lo que tengo cáncer de piel. Así que, obviamente, tengo que ser feliz con el color que tengo. Bueno, usted es hermosa exactamente como eres, y te queremos! Vikki Carr es un ser humano cálido, atento estar con un gran sentido del humor que se traduce en todo lo que hace. Comprar Viva la Vida y vivir su pasión! Entrevista en ingles - abajo! Interview in English - below! Legendary singer/actress Vikki Carr, born Florencia Bisenta de Casillas Martinez Cardona in El Paso, Texas, skyrocketed to superstardom as an American pop singer in 1962 with "He's a Rebel" followed by "It Must Be Him" in 1967 and "With Pen in Hand" in 1969. 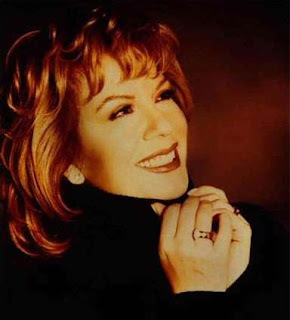 In the 80s and 90s her Spanish recordings brought her three Grammy Awards, and she set the precedent for cross over artists becoming successful in both English and Spanish. Now in 2012 she returns to the Sony label with a new album Viva la Vida, released on September 25. In our chat she talks about the album, the charity that is closest to her heart and how she feels about being a Mexican-American in show business. Congratulations on 50 years in the business! -Thank you, it's already 53! I guess I was counting from 1962. -Well, I went on the road in 1959. That's a milestone, Vikki. Congrats! I listened to the first three tracks of Viva la Vida and your voice sounds better than ever! -Oh, thank you Don! Thank you so much! Did you record this over the last several months? 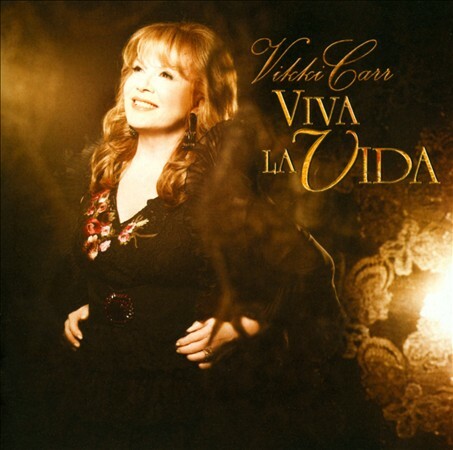 -Oh no, that album Viva la Vida was going to be my anniversary album and a thank you to all of Mexico and to all of Latin America for all the success that they have given me over the years...to tell them that as long as God continues to bless me with my voice that I will be there for them. But it was one of those things that when you're not with a record company... and my husband said "You've got to sing. You're singing better." So I invested in myself, and what better investment can you have? I worked and worked and said to my manager Carol Peters, "I'm trying to get a record label." Everything was done...the recording...I co-produced it with Jose Hernandez. I oversaw everything, the photographer, the whole thing. It was just so frustrating, Don. -Three years ago. And it turns out that they heard it....Sony. Carol presented it to them, and these young people...I call them young compared to the old gang that used to run the companies. They were raised with my music, and when they heard it they said, "Oh, we want to release it", yada yada... and I just got back from doing an incredible promotional tour throughout all of Miami and LA. They are just so excited. Since its release in September, it's gone from #49 on the Latin charts to #16. It's a best seller. -You know, this can open the door for me to do other things. I've been doing concerts. My whole thing is trying to present who I am, a Mexican American who had success in English, and thanks to that success, I was able to record the first all Spanish album. It turns out that when I came back from Mexico...they all asked, "Is she going to do a Spanish show or her English show?" It's been such a struggle. I want to do the show of who I am. I'm able to, thank God, draw all kinds of people to my concerts. It's the whole thing Are you an entertainer? Can you tell stories? Can you make people laugh? Do they feel it? Do they cry with you? (she chuckles) Now, at this stage of my career, my whole idea is I'm going to be who I am and have always been, not having to apologize for it. You're a great singer. You've been a favorite of mine since high school. When I listen to beautiful music sung by a terrific singer, I don't care what language it's in. It's the music and who's singing it that count. -The music is the universal language. I found out that when I was in a country where I didn't speak the language, if I could make eye contact with the people, and get a smile or smile at them, then I felt I had connected. When you go to see opera, not everybody has the boards like they do at the Met that can tell you what is transpiring. But you certainly do know when it's sad or it's funny, or it's tragic...it speaks for itself, and it's up to the person who is performing or singing to achieve the interpretation. Is this the first album you have produced? 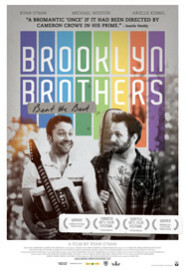 -I produced another one...do you remember Live at the Greek? -Well, that was my production. It was not my money, but...isn't that funny because what I'm wanting to do is to go back to the Greek and celebrate...how many years since I did that first one... and now be able to incorporate everything of what I am, with a big band. My dream is to do a tribute to Sinatra, my way. I don't mean that to be funny or anything, but how I would sing. That was the music I was raised with. I wasn't raised with rock and roll, it was big bands and the great Spanish sounds, the music of my father and my mother. That was my whole musical foundation. 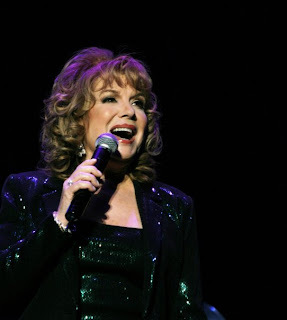 Memorias, the tribute you did for PBS a few years ago with the music of the 40s and 50s was wonderful! -Oh, thank you. About three years ago, I also did Fiesta Mexicana. I went to Mexico, and we showed some of the beautiful cities and the dances and the music. It was just exquisite, visually so beautiful, directed by Leo Eaton. Did you see that? No, but I'll look for it on DVD. 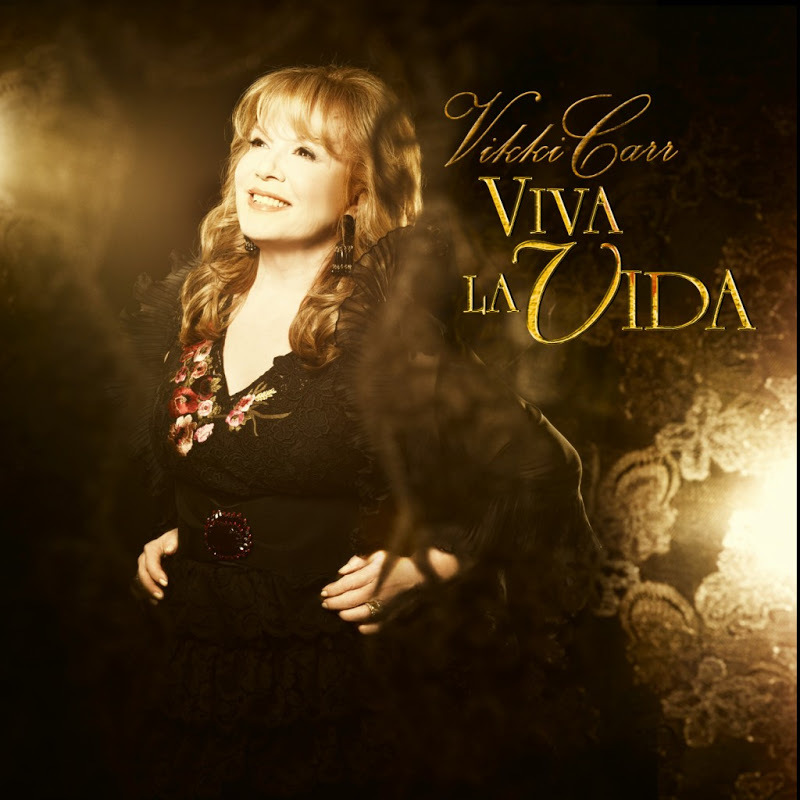 Getting back to Viva la Vida, thank you for the second CD with many of your all-time great Spanish hits. -It was presented with different insight this time: what my feelings were and why I chose those songs. I told the record company how much I appreciate all the repackaging they keep doing, but I added, "Wouldn't it be nice to have some new material? I'll select the songs and write why they are so special to me." They liked the idea. Tell me about the charities closest to your heart. -The one I have been so identified with is my scholarship foundation that I started in California in 1971. I've been able to help over 350 young Mexican-American Hispanic students to continue with their education. I just got tired of all the negativity, and I had a wonderful PR lady/manager who got fed up with my complaining and said, "Look, if you don't like it, do something about it." I thought what the heck could I do? Then, God sent me that commercial for the National Dairy Association before there ever was the white moustache. This was in the west and north. They ran it for two years. The money that I earned went to the scholarships. I decided to help one student, and as I sat in bed reading these applications from families, some of them migrant families who had so many children but they saw to it that every single one of them got an education. One of the kids graduated with a 4.0 and wanted to be a criminologist. I cried and said "I've got to continue this." Since 1971, I've had an astronaut, the first Mexican-American astronaut Jose Hernandez, a superior court judge, doctors that have clinics, attorneys, I have people that are into fashion in New York...I've never had any biological children, but in a way, these have been my kids. We weren't and aren't the big foundation, but we care about the kids, do they have the clothes that they need and what they need besides that. That has been my baby. (she laughs) I have to tell you this. This album...I considered it like my baby and I've been telling people, "My God, it took years for this baby to come out, for heaven's sake"... It came out and said "Hi, mom. Hi, dad." and then went straight to school. When you really, really believe in something, you have to fight for it. I had to fight for "It Must Be Him", I had to fight for "With Pen in Hand", I fought for the first all Spanish album. It's kind of ironical that the things that I fought for have been some of my biggest successes. It's reconfirmed in me that you have to do what you believe in your heart, what you want to do, because nobody else can feel it. They are not you. It's better to go all out for it and say "I tried but it didn't happen" rather than complain and say, "Oh my gosh, I didn't to this and I didn't do that." We all fall into that trap. Who are your favorite singers of all time? I know you've already mentioned Frank Sinatra. -One of my all time favorites is Tony Bennett. I felt bad that I was never asked to do his Duets album. Others are Judy Garland, Kay Starr, Teresa Brewer, I mean this was the music that I was raised with. Any from the new crop that you like? -Adele, she has a great voice. Like you, I prefer to listen mostly to the oldies but goodies. -I need to hear a melody; I want to hear the voice. I get so bored with some of the stuff that we hear. I have grandchildren and they'll play this and say "C'mon, grandma. You can groove to this." And I'll say, "I don't think so." I saw you in Follies about 10 years ago. Do you enjoy doing stage musicals? You have more passion in your voice than most singers! "What you do in your life, do it with all your heart! The day that you can't do that, stop, because your audience will know." And they will. When you get that gut reaction, you know. How do you feel about strides that Hispanics have made in show business? -I would like the Latino to be accepted for themselves as talent and not have that stigma of being Latino. Like Ricardo Montalban playing a Japanese in the film Sayonara, he's an actor. I've done some stuff on television like on Baywatch, I was one of those babes (she laughs); no, I was the mother of a lifeguard. I've auditioned for roles and they always see me...I don't fit their caricature of what they think I should look like. Not all of us are olive-skinned. My mother was very, very light. I tried to stay out in the sun (she laughs) and all I got was skin cancer. So obviously I have to be happy with the color that I am. Well, you're beautiful just the way you are, and we love you! -Thank you so much, Don. 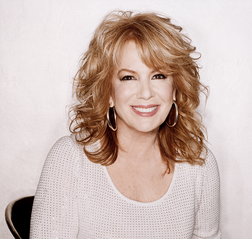 Vikki Carr is a warm, caring human being with a delightful sense of humor that translates into everything she does. Buy Viva la Vida and live her passion! 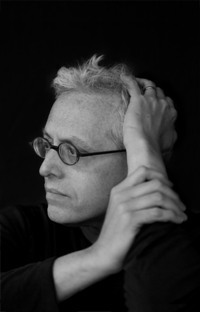 Donald Margulies, winner of a Pulitzer for his Dinner With Friends, was also nominated for the same prestigious award for Collected Stories, a taut two-character drama about a complicated relationship between a renowned short story writer, Ruth Steiner, and Lisa Morrison, a talented graduate student she is mentoring. The relationship deepens beyond mentor/pupil to best friend and confidant. Several years pass and Lisa publishes her own work of fiction…or is it? 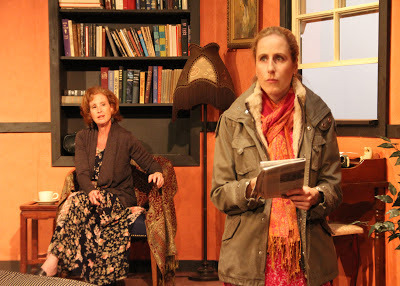 Sherry Netherland directs actors Liza de Weerd and Julia Silverman in Collected Stories, opening Friday, October 12th at the Lonny Chapman Theatre in the NoHo Arts District. 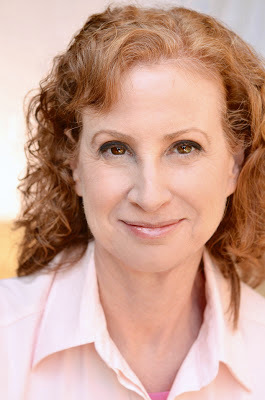 Silverman recently received critical praise for her role in Group rep's The Paris Letter and de Weerd for her role in Group rep's Wait Until Dark. 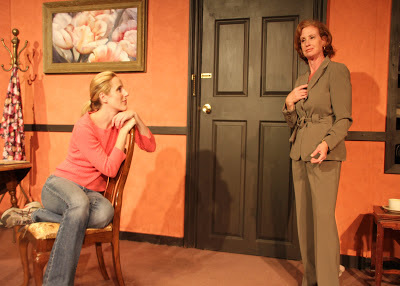 Both actresses, who are GRT veterans, recently sat down to discuss the play and its challenges. When did you first get involved with theater (acting)? Julia: My parents and grandparents have always gone to the theatre. My grandparents would keep their playbills, and mark notes (Gertrude Lawrence - "wonderful as always"). I think it was in my early teens I started tip-toeing into the world of theatre. In high school, I was lucky to have had an amazing theatre teacher who set high artistic standards. I was hooked. Liza: I'm one of those people who pretty much came out of the womb knowing what I wanted to do. I’ve been involved in performing as long as I can remember. I think I did my first play around age six. Liza: We met two and a half years ago doing a play called A Shayna Maidel at ICT. Julia played my mother and Larry Eisenberg, one of GRT's co-artistic directors, played my father. We all had a wonderful experience working together and were looking for something else to collaborate on. What attracted you to this play; how did this project come about? Julia: This play has two great roles for women, and it is pretty rare to have such a wonderful role to play as an actress "matures”; so that was very attractive. But also, the material is complex. It's not just about how relationships shift and change between teacher/student, mentor/artist over time - but it's about ideas of art and ownership, that is to say, are all stories ever told collected from all other stories ever told or do we own our own stories? I think it's exciting that the material is provocative. Liza: As Julia said, I am always drawn to plays with complex, challenging roles for women and this is the epitome of that. It's just two characters, who each transform over a six-year period. Getting to play that many sides of a character in one play is really exciting. That aside, the questions it raises are all topics that I hope will be debated on our audience members' car rides home. We did a staged reading last year for the company (the Group Repertory in NoHo). It was well received by them, so we were encouraged to move ahead with it as a full production. What was the most challenging aspect of portraying your character? Julia: One of the challenges inherent in doing a two-hander, a two person play, is that, well, there are only two of you. No pauses for rest or backstage blather or whatever, it's all on all the time. There is a good amount of physical endurance in acting that isn't normally thought about, and it shouldn't be from the audience’s point of view. But I'm reminded of a story Kevin Kline told of Meryl Streep while they were rehearsing Mother Courage in Central Park. He said he would exhaustedly hail a cab after rehearsal to head home 6 blocks away. She would hop on her bike to pedal home 6 miles south saying, "I have to build up my endurance!" That's a bit what it's like. Liza: Actors get asked, “How do you memorize all those lines?” The question always makes me smile, because for an actor, although it is our first duty to honor the text and that certainly involves learning the lines verbatim, it has little to do with the actual character work that goes on when working on a play. In this case, however, I suddenly understand why people ask that question! The sheer volume of dialogue in this piece was daunting at first and definitely a challenge. Lines must be learned backwards and forwards so an actor has the freedom to play and explore without worrying what comes next. That process took longer this time than it normally does. That and tracking the transformation of a character over six years makes this play a wonderful challenge. Liza: It is very even handed. What Donald Margulies has done so brilliantly is set up a conflict in which I truly believe both sides are justified and can be argued for. I don't feel the play is weighted to favor one character or the other and that is an incredible achievement. Julia: I completely agree with what Liza said. I can only add, I'm sure I will continue to be surprised by my character as we move into our run of the play. This play delightfully lets you keep digging. What's up next for you (career-wise)? Oct. 18th. “General Hospital” the 15th or 16th of October. But I'm looking forward to seeing what new theatre projects may come up. Liza: Like Julia said, what actor knows? I do have a few irons in the fire, so hopefully I'll have some exciting news soon! The Group Rep’s production of Collected Stories runs October 12 - November 10. Friday and Saturday at 8pm. Sunday at 2pm. There will be Talk-back with the cast and director, Sunday, October 21 after the show. Admission: $22; Seniors/Students: $17; Groups 10+: $15. Ladies Night ½ Price Fridays. Buy tix: www.thegrouprep.com or (818) 763-5990.